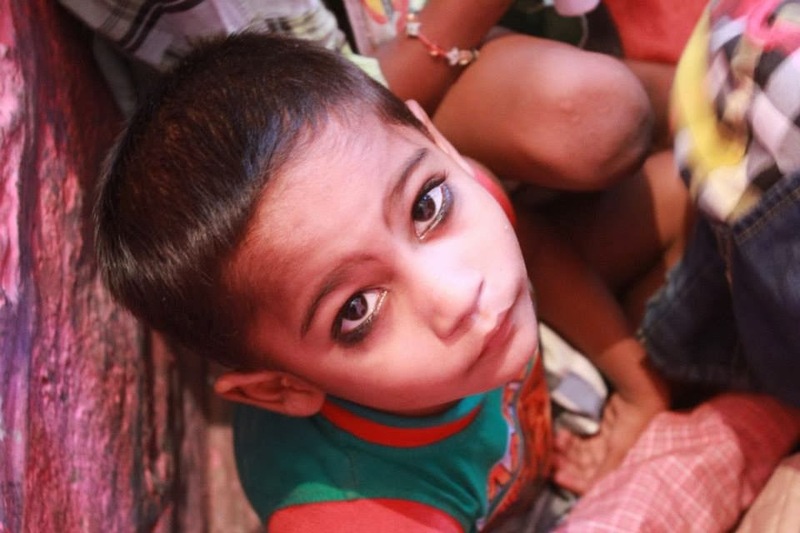 The following story was sent to us by Divesh kaul from Child Survival India. 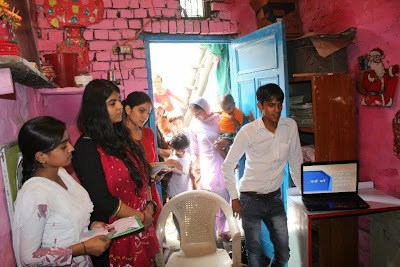 CSI is a an NGO established in 1991 which strives to improve the quality of life of residents of the low income urban and rural communities with its interventions in the fields of Maternal and Child health care, Women Empowerment, HIV/AIDS Prevention and Care and Adolescent/ Child education. You can learn more about their work on their website or follow them on Facebook or Twitter (@ csi_ngo). 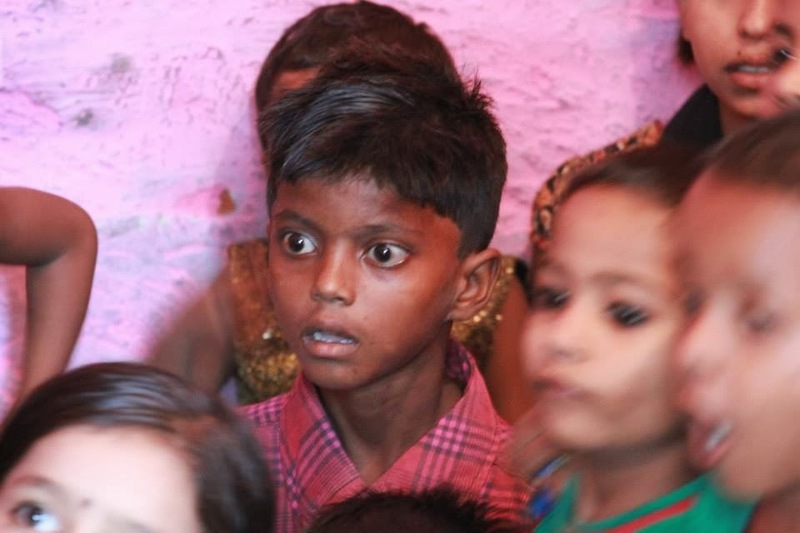 Last week the excitement levels of the children of our four Masti Ki Paathshaala centres were a little higher than the usual. The occasion being the celebration of International Literacy Day, the out of school, drop out and working slum children of Samaypur Badli, Tikri and Narela to whom we offer non-formal and remedial education had a much more engaging and entertaining day on the 7th with Shiv Lakhan Patel, a corporate senior executive in an IT firm and six female students (Ojaswi Singh, Shruti Sharma, Geetika Johar, Nikita Talwar, Khullak Tungran Dangsuwa and Divya Solanki) of Lady Irwin College – University of Delhi. All of these folks had volunteered to conduct storytelling sessions with the kids, which were to follow by some other creative and learning activities. The preparations had started many days in advance and as the staff members and teachers were anticipating the event anxiously, so were the children. 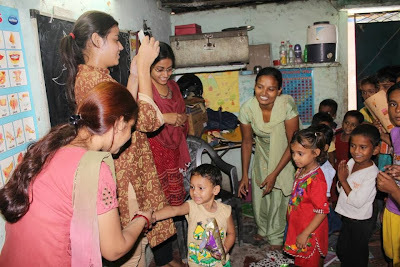 Baby, a bubbly little girl in Sanjay Colony centre who is always eagerly waiting for such events to present her dancing skills, was feeling a little jumpy as their teacher Kismatoon had told her that this time the event wouldn’t involve dancing. Nonetheless, she still had butterflies in her stomach as she still was excited about the event. Mamta, the teacher of Tikri centre had noticed that the naughtier ones had started to behave themselves once they came to know about the event. They were even paying utmost attention to every direction given by her and were readily acting on it, and where otherwise she would have to indulge in other tactics to ensure these children’s proper attention for any class activity. The students of Gautam Colony Centre – Narela repeatedly asked their teacher Renu unending questions on the event and who felt miserable while answering them. Kiran, the teacher of Prem Nagar centre also had a tough time to explain the theme of International Literacy Day and the activities to be done to the younger lot of her centre. Pawan, one of our staff members, who was assigned the task of ferrying the volunteers to the venues in his van also felt excited while meeting them and as he drove them to the centres he gave them a quick introduction about the work areas and the kids. As the volunteers reached the four venues they finally met their audiences. And before seeing the children little had they realised how thirstily they were being expected at the centres. After the exhilaration and hullabaloo had settled down a round of introduction came along and the volunteers started their business with some entertaining warm up sessions. 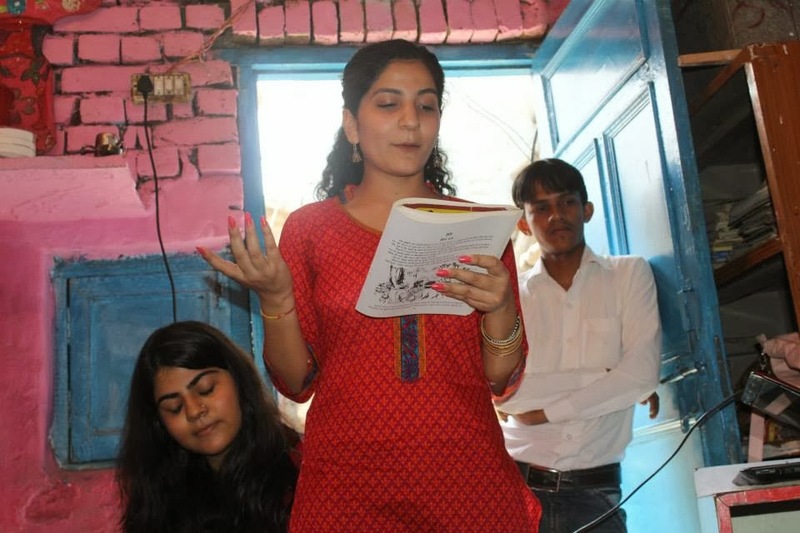 The storytelling session started with some fun stories such as “Paploo Rakshas”, “Nattu aur Dapli”, “Lakshman ke Prashn”, and additionally the volunteers read out some other stories from the books they had brought with themselves. Further to storytelling the volunteers held interactive sessions with the kids and asked about the learning from the stories. The volunteers had also prepared some other sessions for the event. 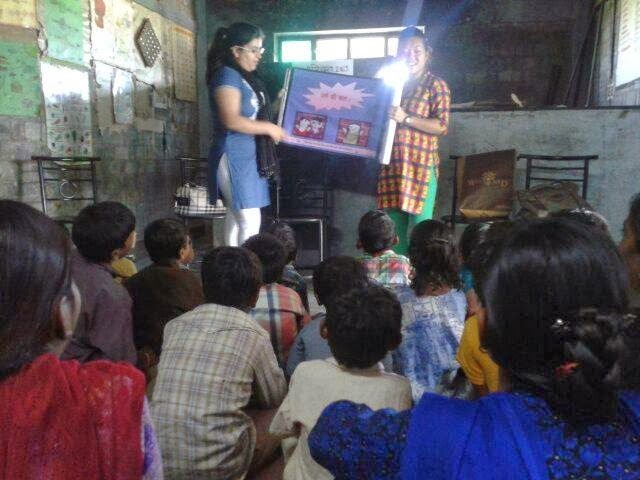 A story through photo scroll on “Teasing amongst children- SHARAM KI BAAT” was presented by Divya and Khullak to the children. The purpose of this session was to create awareness about the issue of eve-teasing. 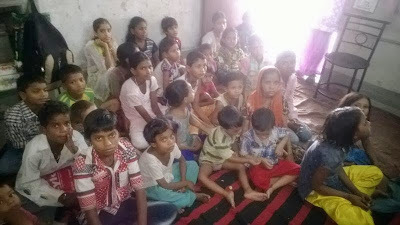 This was followed by the discussion on the theme with the children. 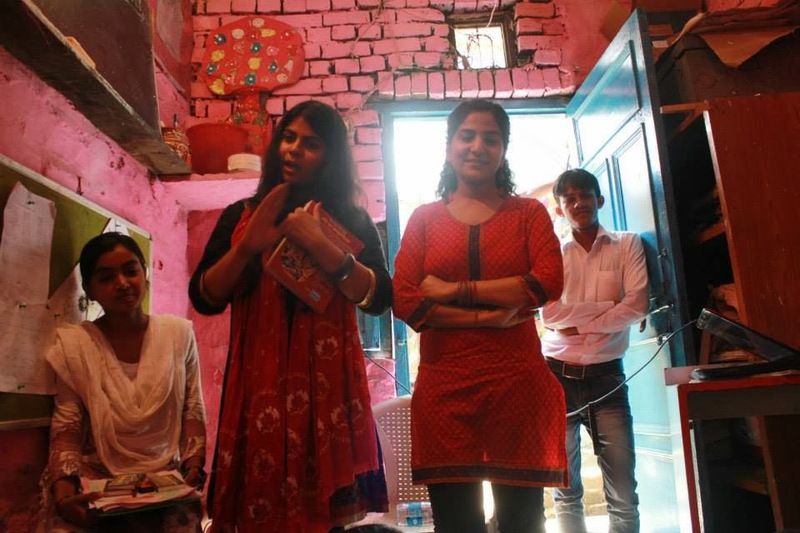 Along the same lines, a puppet story was presented that dealt with alcoholism, eve teasing and feamle harassment. The children, regardless of age and gender were quick to grasp from this activity as it was so simple and tactfully presented in such a way that the kids as well as the teachers found it very impactful. 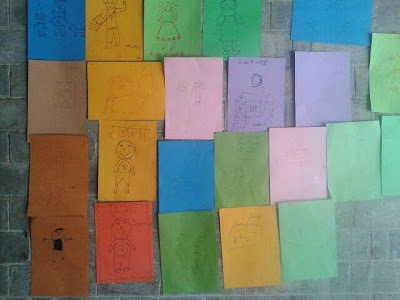 After this session children were engaged in drawing and were given themes from the stories which they happily put in the canvas with the help of wax crayons. Alongside the volunteers, some of our staff members had also prepared some activities for the children. 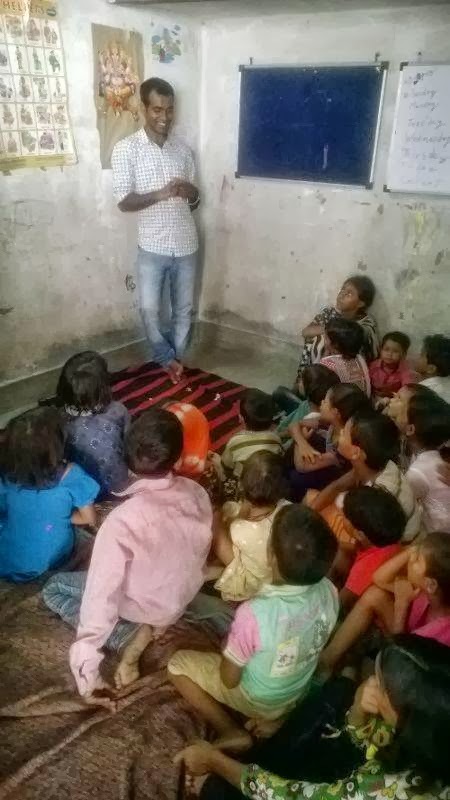 Asgar, our training officer from Water and Sanitation programme did a community water mapping activity whereby the kids had to identify different water sources in a community. 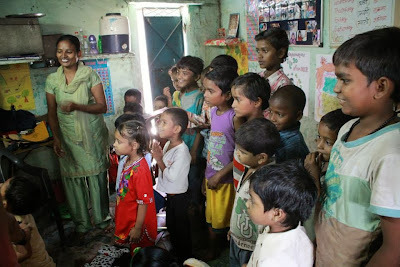 He also showed a film on personal hygiene and taught six step hand wash technique to the kids. 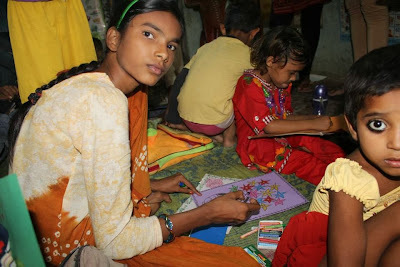 Rekha, Suman and Geeta also participated in the event and engaged the children with different activities. Aside from spending a good time with the underprivileged children, the celebration of International Literacy Day entailed a greater cause. Literacy, a key component in socio-economic progress of a nation is a very crucial theme. Despite promising acts such as the Right to Education Act and frameworks such as Sarva Shiksha Abhiyaan there are major loopholes to be filled in our education system. 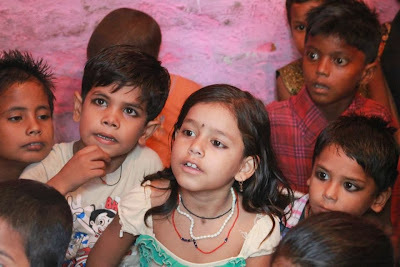 According to the Census Data (2001-2011) on the one hand literacy rate grew from 65% to 74% in India, on the other hand there was a marginal rise of 4% (from 82% to 86%) in Delhi. Although the number is higher than the national average but given the quantum of migration happening towards Delhi from other states and even other neighbouring countries, proliferation of slums, many interrelated issues need to be explored. Benefits of education for the poorest, according to UNESCO include reduced poverty, economic growth, improved health and wellbeing, and the promotion of democracy. A city, being slated to be the second largest in density and accommodating large scores of people after Tokyo is at the crossroads of child labour, human trafficking, gender disparity, chronic migration, and inequitable growth and sharing of resources. We hope this International Literacy Day foments human development and empowerment by giving a little more due to literacy and education. Child Survival India thanks the volunteers for helping in doing its bit. Thank you Child Survival India for spreading the joy of reading! 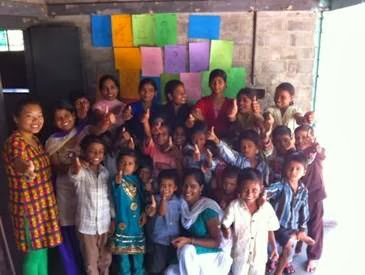 What started as a small step by Pratham Books to spread the joy of reading has become a movement. 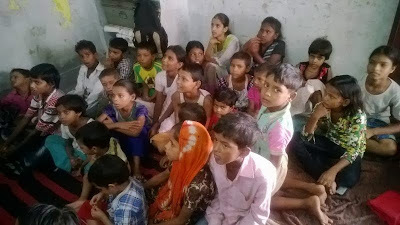 Last year Pratham Books initiated the One Day-One Story initiative on the occasion of International Literacy Day and we conducted over 250 storytelling sessions. This year we are delighted that over a 1000 sessions are happening across the length and breadth of the country.We will be sharing the stories of all our champions through our blog. View more pictures from the International Literacy Day Celebrations. 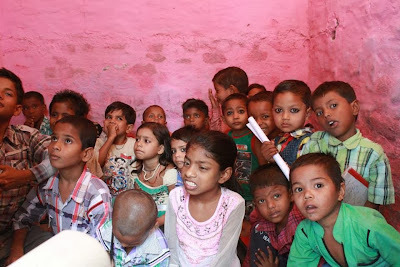 Note : If any of you want to be a Pratham Books Champion and join us on our journey of getting 'a book in every child's hand', write to us at web(at)prathambooks(dot)org.